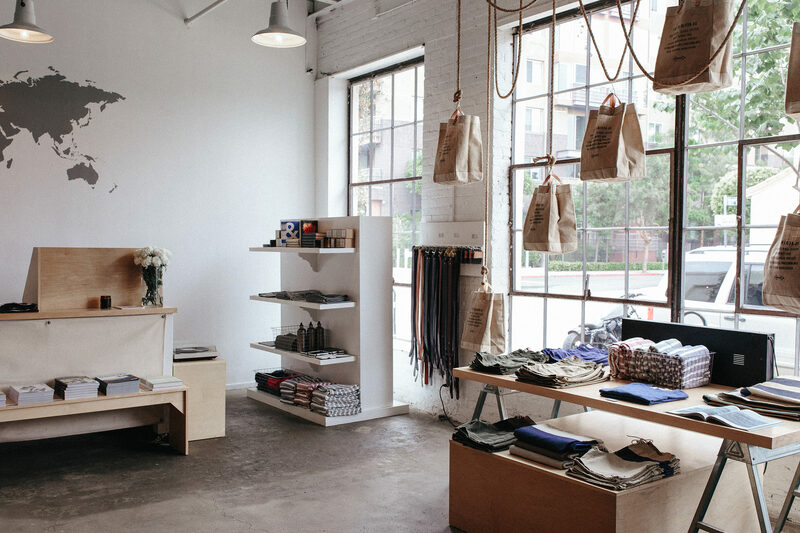 We recently sat down with Shea and Raan Parton, the brother duo behind Apolis Global, in their Los Angeles flagship. We talked with them about their exceptional products (just take our money) and what it looks like to be a profitable high-end manufacturer that puts worldwide social responsibility right at the core of the business. It’s been speculated that 2015 will be a year of sea-change in corporate responsibility, marking a new tack toward a business ethos that values community and environment as much as (or more than) profits and production. This may sound like utopian idealism. But the idea, and the basis of the speculation, is that many businesses are finding ways to achieve both goals. They are, in fact, finding that the two are mutually beneficial to each other: the better a business cares for the communities and environments it touches, the better (and longer) those communities and environments can support the business and its growth. In the free market model, business will always pursue profit—it is integral to the model itself. But more and more, companies—even among the world’s largest corporations—are coming to understand that pursuing profits at the direct cost of community and environment is not only unethical, it is highly inefficient. And ultimately, it is self-destructive for the business. What if the business model itself could simultaneously pursue its own growth and that of society? The idea of corporate responsibility is not new. But until recently, it has mostly been limited to the efforts of a stepchild department within an organization, tasked with a two-part objective: Part 1, Public Relations; Part 2, Corporate Tax Mitigation. In the current model, these responsibility divisions will always be limited by the very fact that they function as a so-called “responsible” counterpoint to the (presumably) “irresponsible” business with all its rampant consumption. Or so the logic would imply. But what if it didn’t have to be a point-counterpoint model at all? What if the business model itself could simultaneously pursue its own growth and that of society and the place in which society lives and on which it depends for survival? Even more intriguingly: What if the business model could leverage those things against each other to better achieve both? Apolis Global is one company that believes those things are possible, and it has landed on a simple model that we at Classfare have never seen before. 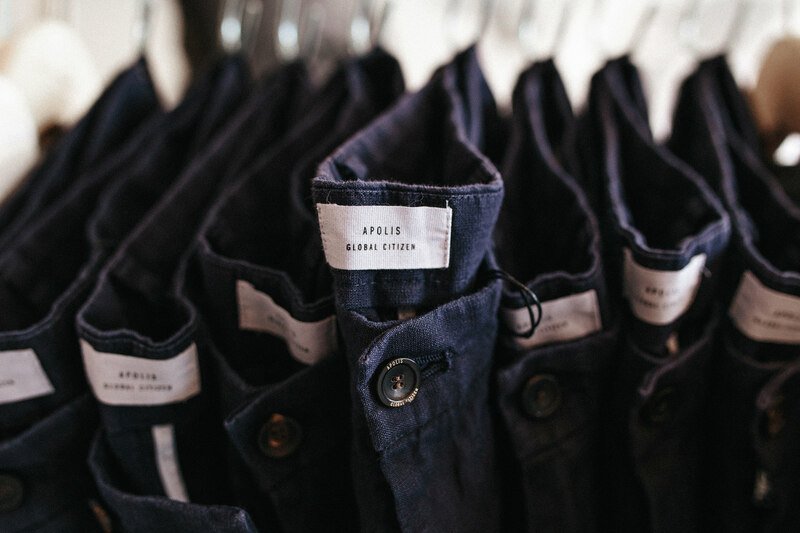 Many know Apolis as a maker of high-end apparel and accessories. And so they are. But look a little deeper, and things are far from status-quo. The very name “Apolis” – pronounced “a–pöl–is” – means “Global Citizen” (closely related to the English word “apolitical,” meaning without political affiliation). This idea perfectly captures the company’s approach to making and selling goods. To create stability and longevity to their efforts, Apolis developed a hybrid approach. One side is a model of globally-sourced products centered around social and economic impact in disadvantaged parts of the world. The other is focused on high-tech, innovative design and production that favors developed areas capable of pushing boundaries. So it’s less about teaching to fish and more about showing where the fish are, how to get there, and what tackle to use. When Apolis finds an operation and collaborates with them on a project, that operation gains those valuable assets. But Apolis gains something too. If the company has done its work well, it gains exclusive access to unique, highly-skilled workmanship and often time-honored techniques that simply aren’t available anywhere else. It also gains access to exclusive textiles and other materials. It’s less about teaching to fish, and more about showing where the fish are, how to get there, and what tackle to use. Who knows what will happen in the broader corporate landscape, or whether or not history will look back on this year as the pivotal moment when business and community wellness started to merge. Whatever the case may be, it’s inspiring and refreshing to see that it can be done. 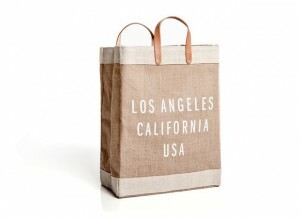 Apolis’ best selling product, the Market Bag is a case study in doing things differently. What started with an order of 50 bags from a small group of women in Bangladesh is now a major initiative that supports 21 women in partnership with over 130 local communities. For a community to get its own bag, a retailer in the community partners with Apolis’ innovative Local + Global initiative. An award winning basic tee that will soften as it ages. 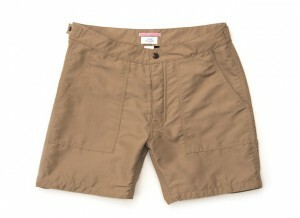 The shirts are made by hand at a small factory in Lima, Peru from 5-oz organic cotton jersey milled nearby. A flagship example of innovative yet responsible first-world production. This jacket is constructed in California using a one-off indigo-dyed wool textile from Italy. A case study in why you should buy one high-quality item and see it wear in over a decade or two rather than buying a cheap jacket that you’ll have to replace every 18 months. The name says it all: These perfectly-proportioned shorts move seamlessly from the bar to the beach (and back to the bar, obviously). To make them, Apolis partnered with a manufacturer in its hometown of Los Angeles that had been making board shorts for surfers and lifeguards since the 1960s.